A delegation of our Delivery, Marketing and Sales Departments participated this spring to the leading exhibition in the international embedded community in Nuremberg, Germany. Embedded World Conference 2018 was at its 16th edition and since last year it gathered more trade visitors, more space and more exhibitors. 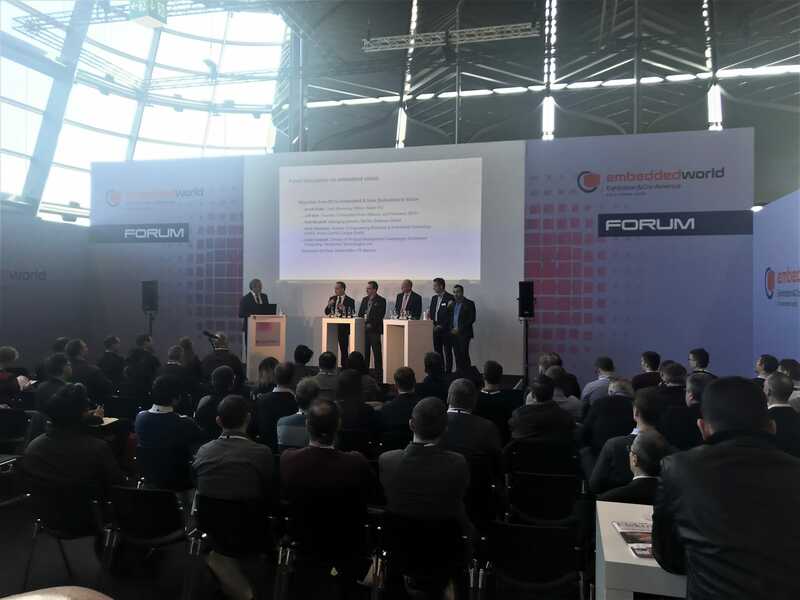 Over 2,150 participants, more than 1,000 companies from 38 countries and speakers from 52 countries gathered to the Embedded World Conference 2018, the 16th Edition. Our colleagues were there too, to get connected with the latest trends in IoT and embedded technologies in one of the best events of the industry sector. Under Embedded Goes Autonomous, this year’s theme, the program was divided into conference clusters that covered IoT, Embedded Vision, Autonomous Systems, Security & Safety, Embedded OS, Hardware Engineering, and Software & Systems Engineering. Exhibitors showed a very broad range of electronics (starting from semiconductor wafers and ending with components ready to embed in avionics, defense, or satellite systems), but also 3D holograms or 3D printed open hardware robots. It’s impressive to see how far embedded technology can change the world we live in. Getting new ideas and understanding the bigger picture of the embedded sector was inspirational for us. So was the key panel discussion around the protection of networked embedded systems in the IoT. Professionals from the industry change ideas about measures that can be taken to protect critical infrastructure and applications that are considered “non-critical”. Another important subject was developed around migration from PC-based to embedded systems and what opportunities and challenges this technology offer. It sounded interesting to us. 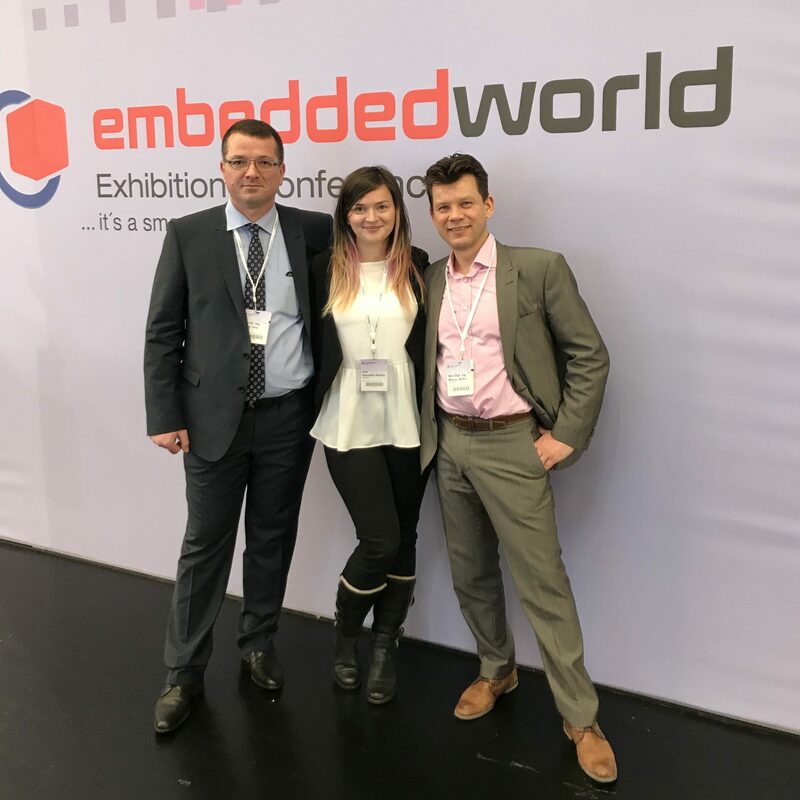 Looking forward to the next year Embedded World Conference, to get inspired by innovative products, that can take technology to the next level.